lol, funny how u guys call 26K pricey, in Norway the Auris (EU name of the corolla iM) got a base price of 32K... full package version is like 40K, nothing in ur countries is pricey compared to Norway. lol. Wow, that's quite a price jump. I love my iM, but for $32,000 nope. But you also have things like different powertrains and sunroofs. I got my 2016 for just over $18,000 and in this price range, there was nothing that really compares. For 2016 yes. But now there is a new Civic which is better in many ways. However, after driving a new Civic I still like my iM, since Civic seats are way too low to the ground. I read an article not too long ago that indicated Toyota was planning to offer some sort of hybrid/electric options for a all its US models by 2025. They are also planning to scale back their model/trim offerings in general over the next few years. I hope that if the iM/Auris (or Yaris) survive the cuts & that we will get a hybrid option sooner rather than later. I would LOVE to buy/own a small hybrid, but I am still waiting for a subcompact/compact one that I like and trust to be release in the U.S. The Prius lineup is comprised of eyesore abominations, and has always stifled the impetus of Toyota to offer hybrids of normal smaller models like the Yaris, Corolla, Auris/iM, etc. 2015 Toyota Yaris SE, Manual 5-spd, Super-White (w/TRD Rear-Sway-Bar, Super-White Shark-Fin Antenna, SunTek-CXP/35 Window Tint, SS Exhaust Tip, etc.). Last edited by RAITHSKAR; 02-18-2018 at 10:51 AM. 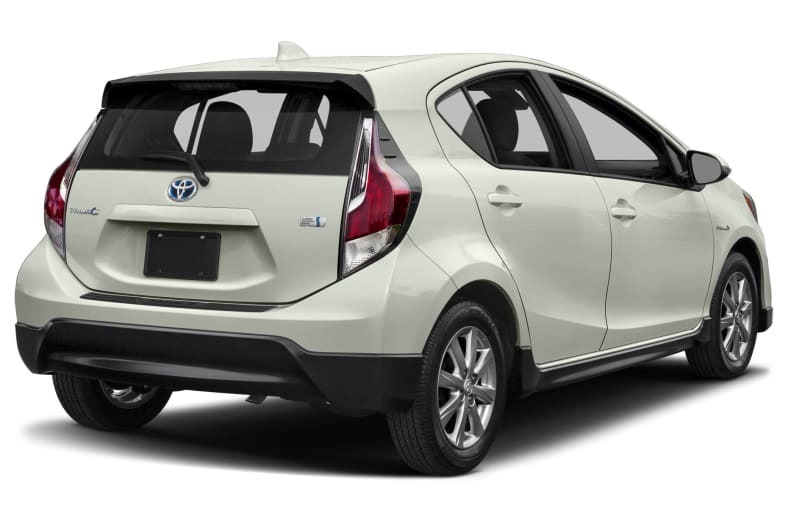 I wanted to like the Prius C, but the rear design and taillights are just unforgivable. I wish that the Yaris or Auris hybrid was sold here in the US instead. Last edited by RAITHSKAR; 02-19-2018 at 06:09 PM.